As crazy as his comments may sound, a narrative like this needs to become the norm in the mass-media if Rome is to be successful in their enforcement of a mark. And so we need to watch for big as well as the little signs like this because those of us that study Christian prophecy know that the Pope of Rome will be moved by Satan himself very soon to demand all people in the world keep Sunday holy to appease God who is sending the greatly increased global calamities that he has named "global warming." The thousands of articles about Sunday laws that keep coming in confirms that hands down. And this is all besides the fact that global warming has been found to be bad science by tens of thousands of real scientists who unlike the handful of Vatican scientists, they don't have a political agenda for everything they say and do. As strange as all this seems to some we have to remember Satan is the father of lies and so it will always be bold faced lies that he uses against the masses. Need I remind you of the lies He told Eve in the Garden? When you step into disobedience lies become believable. Hence the reason most people trust the Pope, politicians and their apostate pastors today. All the strange occurrences around the world from earthquakes, volcanic activity, strange weather to animals, birds, insects and fish dying in biblical numbers has been prophesied to happen right before Jesus returns and Satan needs hide this prophetic fulfillment so he can use it against those that don't read Bibles as a very effective way to control them. But Satan, who has now been proven to rule the roost in the Vatican as per biblical, prophetic, historic and even eye witness accounts; he knows that he has very little time left to do his final work and he must ready the masses to kill those Christians who refuse to bow the Rome's admitted MARK of Sunday Sabbath. 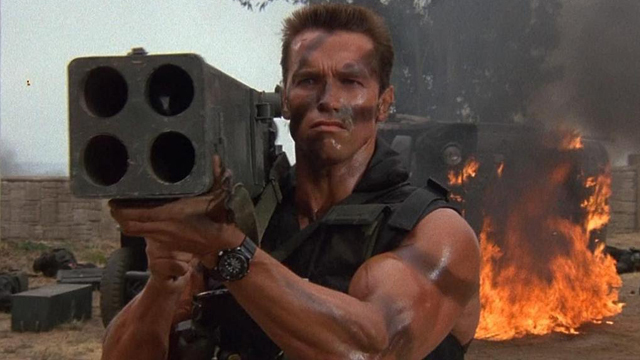 And so this is why Schwarzenegger said what he did and this is also why all the movies, video games and music has become so violent lately. He's training his loyal and greatly deceived Armageddon troops as we speak. 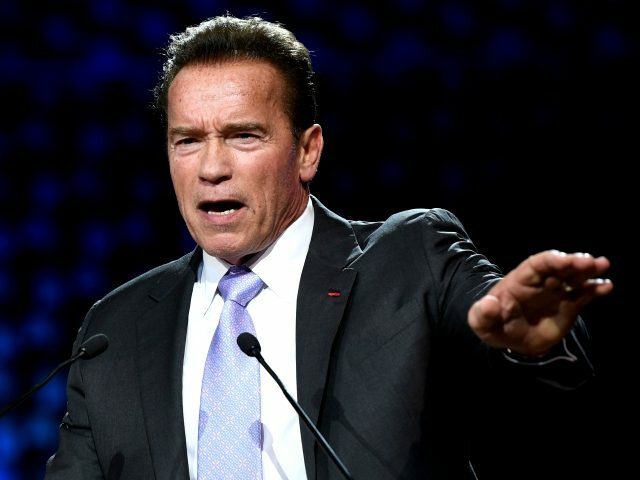 And so, as crazy at it comes off at first by Schwarzenegger, this narrative must begin somewhere so the media can build on the idea that global warming is killing people so as to convince the masses it has nothing to do with the return of Christ. It sounds nutty now yes, but they will build on this. Christian prophecy is that accurate! So keep your eyes open and you will see Rome will push their political pawns and send their media cohorts to build on the chance to declare the prophesied death sentence upon all those that refuse to bow to the Pope's admitted unbiblical Sunday Sabbath. Once done it will become the law of the land and all that refuse to obey will be legally declared worthy of death. Their reason to kill will be that unless those refusing to keep Sunday holy die, the calamities from God will eventually kill us all. And just as we saw how they used this method of attack against our Lord 2000 years ago, they will use the very same lie again in the near future. And that lie is what high priest Caiaphas stated in John 11:50 wherein he said that "it is expedient for us, that one man should die for the people, and that the whole nation perish not." Then you will see all the 501c3 government pastors who built an image unto the beast in Rome join in unison to lobby for and then pass Sunday laws to supposedly appease the God of Heaven. And all those refusing to keep the Roman Sabbath will then be declared guilty of first degree murder and therefore worthy of the long prophesied death sentence by guillotine. Now do you see why there are thousands of guillotines in storage in the USA as we speak? Yes, some that never read their Bibles or even studied Christian prophecy for that matter may think what I just said is a bit of a longshot; but before you respond with your comments in my blog or YouTube page, those in bed with Rome have already declared in writing that the Christian God is angry when you refuse to keep the Roman Sabbath of Sunday back when the Xmas Tsunami hit in 2004. They actually said that tsunami killed those 300,000 people because they weren't going to church on Sunday! And did you notice? No one balked at that statement in the churches of the world because as also prophesied they are right now wondering after the beast in loyal obedience anyway. They actually think the Sabbath is Sunday and therefore believe Sunday laws would be a good idea. And since the mortal wound has been officially healed, talk in the media of obedient Christians being guilty of first degree murder will begin as prophesied. This is what's next on the prophetic to-do list of the man of sin in Rome. And so, as we see; a man that is no stranger to killing en masse in his blood drenched Hollywood movies, this man has obviously been chosen by Rome, the historic mother of all modern day politicians, to begin talking points towards the enforcement of the mark of the beast by declaring climate change is killing us and therefore just as the oil companies should be considered guilty of first degree murder, Rome can now build on this to proclaim the Sabbath keeping Christians who refuse to bow to the Pope will be considered guilty and then the final law will be passed to have us all killed. But those of us that study His Word and His prophetic truths know that when they do that, the Gideon band will go forth and glorify the Lord who protects them from any and all weapons formed against them just as much as He did the seven thousand who refused to bow to Baal in Elijah's day! Do you recall how students of prophecy have been warning people for years that since the Vatican's child molestation scandal became well known they had to do something to cover it up? Reason being is, the tens of thousands of lawsuits are now totaling $4 billion dollars so far and so they have to figure out a way to normalize the main fruit of the Vatican. That being of course pedophilia. We have stated for literally decades now that they must first normalize homosexuality since even Christian prophecy predicted the priests would be homosexuals. (See Daniel 11:37) Normalizing homosexuality is a must for Rome as it would allow them to #1, make the Christian God look bad while claiming to stand as Christian leaders as prophecy predicts they would do all along. (click here for proof) And #2, normalizing it would allow for the dollar amounts in the lawsuits to lower once society places less of a taboo upon it. And when they normalize pedophilia those lawsuits would eventually become a thing of the past which would then open the floodgates of Vatican decadence into society as the norm worse than it was in the past. As we stated years ago; after they legalize homosexuality they would also have to normalize polygamy so as to test the waters to see if they have sufficiently lowered the morals of those they hope to deceive. And we all know how Hollywood has offered their promotional powers in airing reality shows wherein polygamists are allowed to be filmed and even promoted as the norm without so much as a slap on the wrist. And since both those long expected events have come to fruition so as to make pedophilia appear not so bad to the majority who have finally become silent in all this; check this out. If you read on you will see many European states are in agreement here and some even want the age of consent lowered to 13. Thanks to the Vatican inspired Koran wherein pedophilia has been sanctified, having it spread throughout Europe will be an easy task for them to do. And so, as expected, to make all this appear as no big deal to the majority, homosexual marriage become legal making the Bible appear hateful and unbelievable in the eyes of the lost when it declares homosexuality to be an abomination onto God. And now that Polygamy has been promoted for years to lower the moral standards of millions, the French government has just announced that pedophilia will be legalized in France in coming weeks. And some say Christian prophecy is a joke? Me thinks the only ones laughing now are those refusing to see the truth in all this as it was revealed to the letter in the very Bible they strangely claim is an outdated book. How on earth can it be outdated when it talks about things happening RIGHT NOW?! 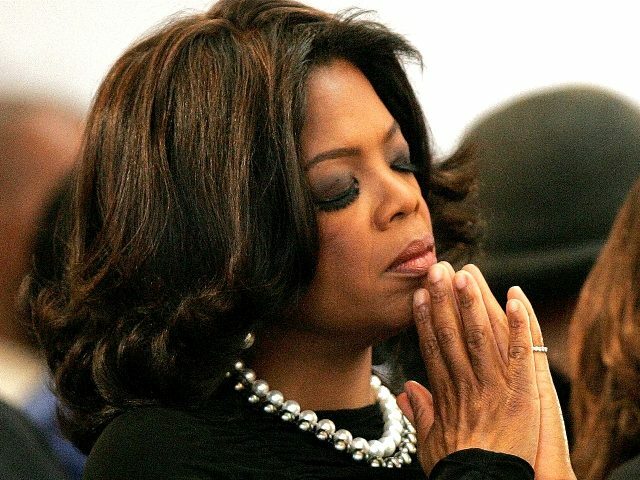 Notice how they make it a point to show Oprah in prayer in the article. Have you seen the videos of Oprah denying Jesus Christ is Lord so as to generate "another Jesus" as the prophecy predicts many will do today? There are so many now all I can do is give you a link wherein they are listed on YouTube. And so it is obvious the god she prays to is not the Jesus of the Bible. Still, if she decides to run she will claim that the God of Heaven told her to run. Now I doubt seriously that she will run as she knows nothing about politics or how to run a nation. But, in today's world wherein we have seen puppets in the White House the last few decades, anything can happen. But I will say that the timing of her announcement is perfect as anyone that saw my last video can see. The talk of religion in politics is ramping up so as to normalize political religiosity in the minds of the American people because as prophesied the need for religious laws is a must if they are ever going to be able to enforce the mark of the beast. Which as I illustrated in my last video is in fact a religious law. And so it's obvious as to why Oprah made this announcement when she did. And think about this as well. If who she calls god doesn't speak to her telling her to run for office, then all she did by her announcement was to bow to her dying god so as to use her popularity to keep the religious banter active in the media. But if she decides to run; she will be able to escalate her so called religion in politics because the common sense question to ask is, what do you think will be the very first question every single News reporter will ask her on day one of her political campaign? You guessed it, they will ask her what sign God gave her that made her know it was time for her to run for president; and so right from jump street her campaign will be drenched in religiosity because she will be known as the candidate "God" officially endorsed. And even though she isn't a Christian as per accurate biblical definition, like Obama who we have a mountain of evidence confirming he was not a Christian as he claimed, she too will claim to be a Christian to garner the votes in this supposed Christian nation. And then it will be far easier for her to sell the idea for religious law. Especially when main stream prosperity preachers honor her before the masses in their televised church services. And why in these last days wherein the sins of mankind declare it to be an evil and adulterous generation is someone as popular as Oprah Winfrey asking God for a sign? It's because of what Jesus said in Matthew 12:39, which was that "An evil and adulterous generation seeketh after a sign…" And so it was expected that someone like Oprah who denies Jesus Christ as Lord and has promoted a new-age movement that embraces Satanic theology would be puffed up by the powers that be in this sin sick world. The fact that she believes that God is jealous of her proves, Satan has a tight grip on this woman and so, please pray for her.